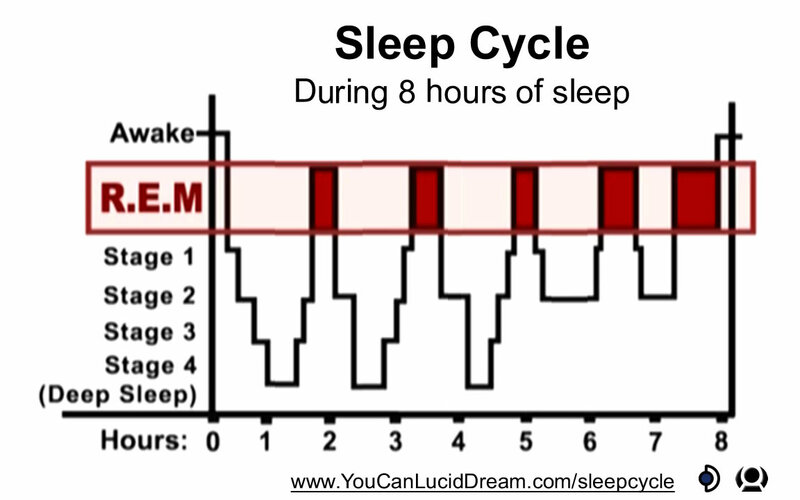 It is important to understand the human sleep cycle and what time of the night you tend to dream the most. Vivid dreams happen during REM sleep which stands for Rapid Eye Movement. The eye movements is actually you looking at visual aspects of your dream. The Wake-Back-To-Bed technique is flexible on what time you get up and for how long, but it seems to be effective if you wake up 2 hours before you need to get up in the morning, and stay awake for 20 or 30 minutes, as shown by the graph on the right. Keep a dream journal to write in each morning. You don’t have to write out every dream every morning, but at least write notes when something stands out. A good technique is to write 1 sentence or a title for the dream you remember each morning. It doesn’t take long and when you do have a vivid and meaningful dream, you will be in the habit of writing it down. The act of writing is the part that increases your recall for future dreams. So even if you don’t remember many now, you can increase your memory by writing whatever you do remember down. It also ensures you will remember the dream later. If you do forget the dream, you can go back and read a sentence, which usually brings back the memory of the entire dream. Share some of your more interesting or significant dreams with a friend or partner. This strengthens your dreaming memory, and forces you to put the experience into a linear story for someone else to understand. It also makes dreaming more significant when you have someone to share experiences with. Text is very unstable in dreams, so it makes for a reliable reality test. This is because text is very intricate and symbolic. When you look away from the text, it disappears. When you look back at it again, it has to be re-created very quickly. On rare occasions your mind can recreate the exact same sentence, but most often the sentence says something completely different. If that is the case, you can confidently become fully lucid. But it does require you to be willing to accept the possibility you are dream right now. Are you dreaming? You only have a few minutes of memory in a dream. This is because you only store short term memories and not long term memory when you are asleep. That causes you to only remember the last few moments of a dream. The rest is constantly being forgotten. The only way to remember a dream is to wake up and recall it. This transfers the dream from short term memory to long term memory. When you get lucid in a dream you recognize you only have a few minutes of short term memory to work with. It is best to do something meaningful or enjoyable, then wake up to recall it into your long term memory. That way you don’t get lost in dream logic, or fall into a deep sleep and forgetting the whole thing ever happened. It is a good idea to think about what you want to do the next time you get lucid while you are awake. That way when you get lucid you already know what you want to do. It also helps you set an intention or goal which is motivating and something to look forward to. Choose a goal that only takes a few minutes to accomplish. Include in your goal that once you complete it, you will stop dreaming to wake up and recall it clearly. Part of your goal should always be that you want clear recall of the experience. Write down your goal or intention in your dream journal and read it on any night you are attempting to get lucid in a dream. What do you want to do in a lucid dream? What would you do if it turns out you are dreaming right now? 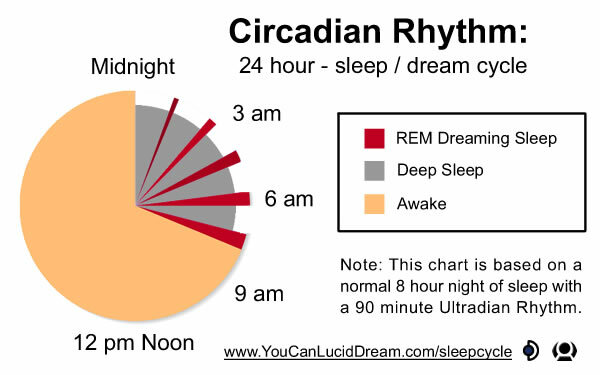 A good way to wake up after having a great lucid dream experience, is to stop interacting with the dream, relax, and start the dream recall process before you wake up. You can think about how the dream began, and go over the events step by step. This usually causes the dream to fade out, and you wake up with very clear recall. Be sure to do a reality test when you wake up to be sure you don’t have a false awakening. Dream require you to stay engaged in them. If you stop moving forward, or start contemplating, the dream can become unstable and fade out. A powerful technique you can use the moment you get lucid is to rub your hands together. This stabilizes the dream by sending sensations through your dream body. It can give you a moment to think about what you are going to do next. Spinning around like a top also works to bring you back into the dream if it starts to fade out. Subscribe to get more information like this in you E-mail.